﻿ Oneous.com - The world of Imagination and Inspire of Oronno! I'm Abdullah Al Mamun Oronno and I've designed this website to connect people with my interest and works. Currently I am working as a Software Engineer at Therap (BD) Ltd. I have completed B.Sc. in Computer Science & Engineering from University of Dhaka in the year 2011. Programming is my passion, and I really just Love it! I love to break down complex problems and requirements into elegant designed and manageable codes! I actually can't pass a single day without sitting in front of my notebook and some flavor of coding! Earlier played lot with C / C++ for several years in university life & done some ACM & attended many contest with my team "DU-Gladiator". Later, worked a year developing desktop software in .NET platform. Finally, worked & heavily motivated to the open world of JAVA! Currently involved with enterprise web application development in JavaEE platform & client side Android App development. You can subscribe my Facebook or GooglePlus profile for regular updates! 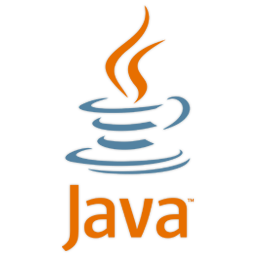 Becoming a Java developer is one of the best things that happen to my life! Well, JAVA is really a great platform once you know it! Developing Web Application in Java is the real fun! There are so many choice...so many options... You are not bound to any technology / application server if you don't like it! You just can move on with other or your own implementation. Because 'openness' is the heart of Java Platform! I maintain a page in facebook titled 'Passionate Java Programmers' where I share interesting articles, tutorials and news on Java Platform. You can subscribe here to get updates! The subject that I enjoyed most, in my C.S.E. study life, is Algorithm. As I involved with ACM programming and contests, I had some skill on it. Although I can't argue myself a good programmer(!). However, here you can find some C/C++ implementation of some known algorithm. Copyright © 2010-2015 | Oneous - All Rights Reserved.